In this post, students will learn how photographs shaped the public’s knowledge and experience of the Civil War, and how people shaped photographs to leave a legacy of how they personally experienced and understood the war. Written by Shannon Perich, Associate Curator for the Photographic History Collection, this post is published on the Museum's "O Say Can You See?" blog. D1.2.K-2. (Compelling Questions): Identify disciplinary ideas associated with a compelling question. D1.3.K-2. (Constructing Supporting Questions): Identify facts and concepts associated with a supporting question. D1.4.K-2. (Constructing Supporting Questions): Make connections between supporting questions and compelling questions. D1.5.K-2. (Determining Helpful Sources): Determine the kind of sources that will be helpful in answering compelling and supporting questions. D2.Civ.6.K-2. (Civics): Describe how communities work to accomplish common tasks, establish responsibilities, and fulfill roles of authority. D2.Civ.7.K-2. (Civics): Apply civic virtues when participating in school settings. D2.Civ.9.K-2 (Civics): Follow agreed-upon rules for discussions while responding attentively to others when addressing ideas and making decisions as a group. D2.Civ.12.K-2. (Civics): Identify and explain how rules function in public (classroom and school) settings. D2.Eco.1.K-2. (Economics): Explain how scarcity necessitates decision making. D2.Eco.2.K-2. (Economics): Identify the benefits and costs of making various personal decisions. D2.Eco.3.K-2. (Economics): Describe the skills and knowledge required to produce certain goods and services. D2.Eco.4.K-2. (Economics): Describe the goods and services that people in the local community produce and those that are produced in other communities. D2.Eco.5.K-2. (Economics): Identify prices of products in a local market. D2.Eco.6.K-2. (Economics): Explain how people earn income. D2.Eco.7.K-2. (Economics): Describe examples of costs of production. D2.Eco.9.K-2. (Economics): Describe the role of banks in an economy. D2.Eco.10.K-2. (Economics): Explain why people save. D2.Eco.12.K-2. (Economics): Describe examples of the goods and services that governments provide. D2.Eco.13.K-2. (Economics): Describe examples of capital goods and human capital. D2.Eco.14.K-2. (Economics): Describe why people in one country trade goods and services with people in other countries. D2.Eco.15.K-2. (Economics): Describe products that are produced abroad and sold domestically and products that are produced domestically and sold abroad. D2.Geo.1.K-2. (Geography): Construct maps, graphs, and other representations of familiar places. D2.Geo.2.K-2. (Geography): Use maps, graphs, photographs, and other representations to describe places and the relationships and interactions that shape them. D2.Geo.3.K-2. (Geography): Use maps, globes, and other simple geographic models to identify cultural and environmental characteristics of places. D2.Geo.4.K-2. (Geography): Explain how weather, climate, and other environmental characteristics affect people's lives in a place or region. D2.Geo.5.K-2. (Geography): Describe how human activities affect the cultural and environmental characteristics of places or regions. D2.Geo.6.K-2. (Geography): Identify some cultural and environmental characteristics of specific places. D2.Geo.7.K-2. (Geography): Explain why and how people, goods, and ideas move from place to place. D2.Geo.8.K-2. (Geography): Compare how people in different types of communities use local and distant environments to meet their daily needs. D2.Geo.9.K-2. (Geography): Describe the connections between the physical environment of a place and the economic activities found there. D2.Geo.10.K-2. (Geography): Describe changes in the physical and cultural characteristics of various world regions. D2.Geo.11.K-2. (Geography): Explain how the consumption of products connects people to distant places. D2.Geo.12.K-2. (Geography): Identify ways that a catastrophic disaster may affect people living in a place. D2.His.1.K-2. (History): Create a chronological sequence of multiple events. D2.His.4.K-2. (History): Compare perspectives of people in the past to those of people in the present. D2.His.6.K-2 (History): Compare different accounts of the same historical event. D2.His.9.K-2. (History): Identify different kinds of historical sources. D2.His.10.K-2. 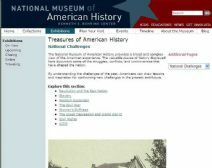 (History): Explain how historical sources can be used to study the past. D2.His.11.K-2. (History): Identify the maker, date, and place of origin for a historical source from information within the source itself. D2.His.12.K-2. (History): Generate questions about a particular historical source as it relates to a particular historical event or development. D2.His.14.K-2. (History): Generate possible reasons for an event or development in the past. D2.His.16.K-2. (History): Select which reasons might be more likely than others to explain a historical event or development. D3.2.K-2. (Gathering and Evaluating Sources): Evaluate a source by distinguishing between fact and opinion. D4.6.K-2. (Taking Informed Action): Identify and explain a range of local, regional, and global problems, and some ways in which people are trying to address these problems. D4.7.K-2. (Taking Informed Action): Identify ways to take action to help address local, regional, and global problems. D4.8.K-2. (Taking Informed Action): Use listening, consensus-building, and voting procedures to decide on and take action in their classrooms. D1.1.9-12. (Compelling Questions): Explain how a question reflects an enduring issue in the field. D1.2.9-12. (Compelling Questions): Explain points of agreement and disagreement experts have about interpretations and applications of disciplinary concepts and ideas associated with a compelling question. D1.3.9-12. (Constructing Supporting Questions): Explain points of agreement and disagreement experts have about interpretations and applications of disciplinary concepts and ideas associated with a supporting question. D1.4.9-12. (Constructing Supporting Questions): Explain how supporting questions contribute to an inquiry and how, through engaging source work, new compelling and supporting questions emerge. D1.5.9-12. (Determining Helpful Sources): Determine the kinds of sources that will be helpful in answering compelling and supporting questions, taking into consideration multiple points of view represented in the sources, the types of sources available, and the potential uses of the sources. D2.Civ.1.9-12. (Civics): Distinguish the powers and responsibilities of local, state, tribal, national, and international civic and political institutions. D2.Civ.3.9-12. (Civics): Analyze the impact of constitutions, laws, treaties, and international agreements on the maintenance of national and international order. D2.Civ.4.9-12. (Civics): Explain how the U.S. Constitution establishes a system of government that has powers, responsibilities, and limits that have changed over time and that are still contested. D2.Civ.5.9-12. (Civics): Evaluate citizens' and institutions' effectiveness in addressing social and political problems at the local, state, tribal, national, and/or international level. D2.Civ.6.9-12. (Civics): Critique relationships among governments, civil societies, and economic markets. D2.Civ.10.9-12. (Civics): Analyze the impact and the appropriate roles of personal interests and perspectives on the application of civic virtues, democratic principles, constitutional rights, and human rights. D2.Civ.11.9-12. (Civics): Evaluate multiple procedures for making governmental decisions at the local, state, national, and international levels in terms of the civic purposes achieved. D2.Civ.12.9-12. (Civics): Analyze how people use and challenge local, state, national, and international laws to address a variety of public issues. D2.Civ.13.9-12. (Civics): Evaluate public policies in terms of intended and unintended outcomes, and related consequences. D2.Eco.1.9-12. (Economics): Analyze how incentives influence choices that may result in policies with a range of costs and benefits for different groups. D2.Eco.2.9-12. (Economics): Use marginal benefits and marginal costs to construct an argument for or against an approach or solution to an economic issue. D2.Eco.3.9-12. (Economics): Analyze the ways in which incentives influence what is produced and distributed in a market system. D2.Eco.10.9-12. (Economics): Use current data to explain the influence of changes in spending, production, and the money supply on various economic conditions. D2.Eco.12.9-12. (Economics): Evaluate the selection of monetary and fiscal policies in a variety of economic conditions. D2.Eco.13.9-12. (Economics): Explain why advancements in technology and investments in capital goods and human capital increase economic growth and standards of living. D2.Geo.1.9-12. (Geography): Use geospatial and related technologies to create maps to display and explain the spatial patterns of cultural and environmental characteristics. D2.Geo.2.9-12. (Geography): Use maps, satellite images, photographs, and other representations to explain relationships between the locations of places and regions and their political, cultural, and economic dynamics. D2.Geo.3.9-12. (Geography): Use geographic data to analyze variations in the spatial patterns of cultural and environmental characteristics at multiple scales. D2.Geo.4.9-12. (Geography): Analyze relationships and interactions within and between human and physical systems to explain reciprocal influences that occur among them. D2.Geo.5.9-12. (Geography): Evaluate how political and economic decisions throughout time have influenced cultural and environmental characteristics of various places and regions. D2.Geo.6.9-12. (Geography): Evaluate the impact of human settlement activities on the environmental and cultural characteristics of specific places and regions. D2.Geo.7.9-12. (Geography): Analyze the reciprocal nature of how historical events and the spatial diffusion of ideas, technologies, and cultural practices have influenced migration patterns and the distribution of human population. D2.Geo.8.9-12. (Geography): Evaluate the impact of economic activities and political decisions on spatial patterns within and among urban, suburban, and rural regions. D2.Geo.9.9-12. (Geography): Evaluate the influence of long-term climate variability on human migration and settlement patterns, resource use, and land uses at local-to-global scales. D2.Geo.10.9-12. (Geography): Evaluate how changes in the environmental and cultural characteristics of a place or region influence spatial patterns of trade and land use. D2.Geo.11.9-12. (Geography): Evaluate how economic globalization and the expanding use of scarce resources contribute to conflict and cooperation within and among countries. D2.Geo.12.9-12. (Geography): Evaluate the consequences of human-made and natural catastrophes on global trade, politics, and human migration. D2.His.1.9-12. (History): Evaluate how historical events and developments were shaped by unique circumstances of time and place as well as broader historical contexts. D2.His.3.9-12. (History): Use questions generated about individuals and groups to assess how the significance of their actions changes over time and is shaped by the historical context. D2.His.4.9-12. (History): Analyze complex and interacting factors that influenced the perspectives of people during different historical eras. D2.His.5.9-12. (History): Analyze how historical contexts shaped and continue to shape people's perspectives. D2.His.6.9-12. (History): Analyze the ways in which the perspectives of those writing history shaped the history that they produced. D2.His.7.9-12. (History): Explain how the perspectives of people in the present shape interpretations of the past. D2.His.8.9-12. (History): Analyze how current interpretations of the past are limited by the extent to which available historical sources represent perspectives of people at the time. D2.His.9.9-12. (History): Analyze the relationship between historical sources and the secondary interpretations made from them. D2.His.10.9-12. (History): Detect possible limitations in various kinds of historical evidence and differing secondary interpretations. D2.His.11.9-12. (History): Critique the usefulness of historical sources for a specific historical inquiry based on their maker, date, place of origin, intended audience, and purpose. D2.His.12.9-12. (History): Use questions generated about multiple historical sources to pursue further inquiry and investigate additional sources. D2.His.13.9-12. (History): Critique the appropriateness of the historical sources used in a secondary interpretation. D2.His.15.9-12. (History): Distinguish between long-term causes and triggering events in developing a historical argument. D2.His.17.9-12. (History): Critique the central arguments in secondary works of history on related topics in multiple media in terms of their historical accuracy. D3.3.9-12. (Developing Claims and Using Evidence): Identify evidence that draws information directly and substantively from multiple sources to detect inconsistencies in evidence in order to revise or strengthen claims. D4.3.9-12. (Communicating and Critiquing Conclusions): Present adaptations of arguments and explanations that feature evocative ideas and perspectives on issues and topics to reach a range of audiences and venues outside the classroom using print and oral technologies (e.g., posters, essays, letters, debates, speeches, reports, and maps) and digital technologies (e.g., Internet, social media, and digital documentary). D4.4.9-12. (Communicating and Critiquing Conclusions): Critique the use of claims and evidence in arguments for credibility. D4.5.9-12. (Communicating and Critiquing Conclusions): Critique the use of the reasoning, sequencing, and supporting details of explanations. D4.7.9-12. (Taking Informed Action): Assess options for individual and collective action to address local, regional, and global problems by engaging in self-reflection, strategy identification, and complex causal reasoning. D4.8.9-12. (Taking Informed Action): Apply a range of deliberative and democratic strategies and procedures to make decisions and take action in their classrooms, schools, and out-of-school civic contexts. Photographs can be powerful connections to the past.